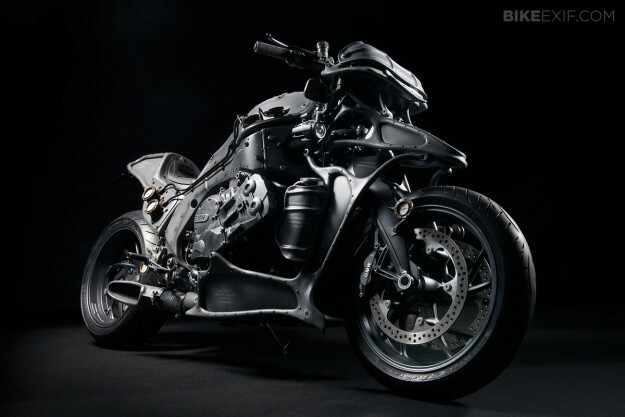 At the Osaka Motorcycle Show, BMW Japan has just thrown the wraps off two extreme customs based on the K1600 GTL. 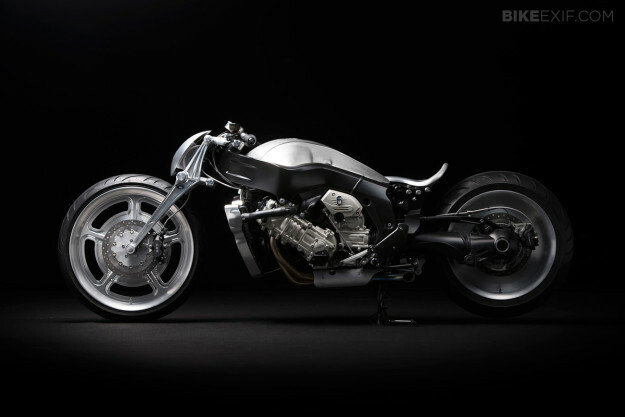 That’s the range-topping luxury tourer, a road-going spaceship powered by a 1649cc inline six—and probably packed with more electronics than any other motorcycle on the market today. 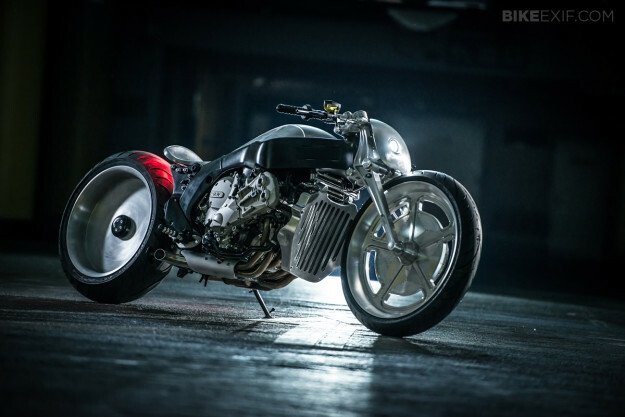 Just two builders were chosen for these transformations, and both are legends in the Japanese custom world: Keiji Kawakita of Hot Dock Custom Cycles, and Kenji Nagai of Ken’s Factory. 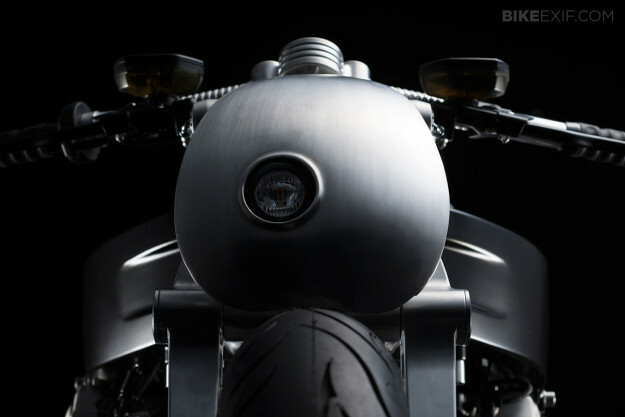 The results are very different to the four machines we revealed a few months ago for the R nineT Project. They’re not ‘new wave’ or café-style customs: this is free-form building from two of the most radical and skilled craftsmen in the East. HOT DOCK ‘JUGGERNAUT’ The K1600 GTL is an imposing machine in its own right. 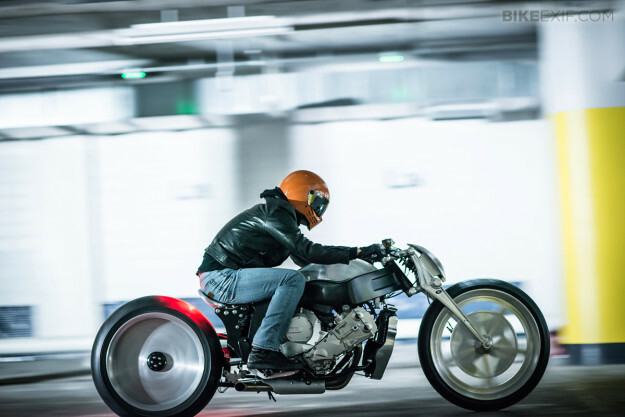 Weighing 767 lbs (348 kg) fully fueled and almost 2.5 meters long, it’s a bike for experienced riders. Kawakita-san has amped up the visual bulk, with completely new aluminum bodywork from nose to tail. 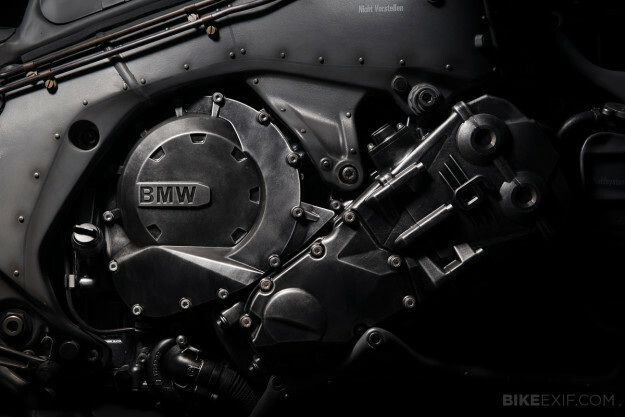 Powertrain mods are restricted to a new airbox and custom-fabricated muffler: the engine already provides a wall of torque, and enough power to propel the K1600 to 200kph. 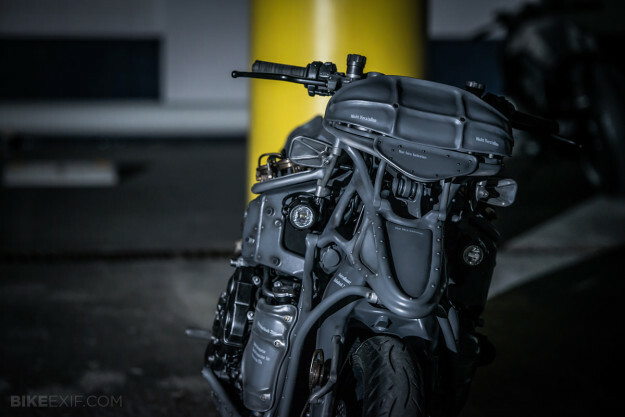 The exoskeleton effect gives a militaristic, almost steampunk vibe—helped by aluminum pipes following the contours of the new body panels and matt grey paint. The engine cases have been refinished with an aging effect, which is carried through to the switchgear mounted onto custom bars. Brass gauges on either side of the tank carry the name Herschel—a nod to the German-born astronomer who discovered Uranus in 1781 and joined the court of King George III. 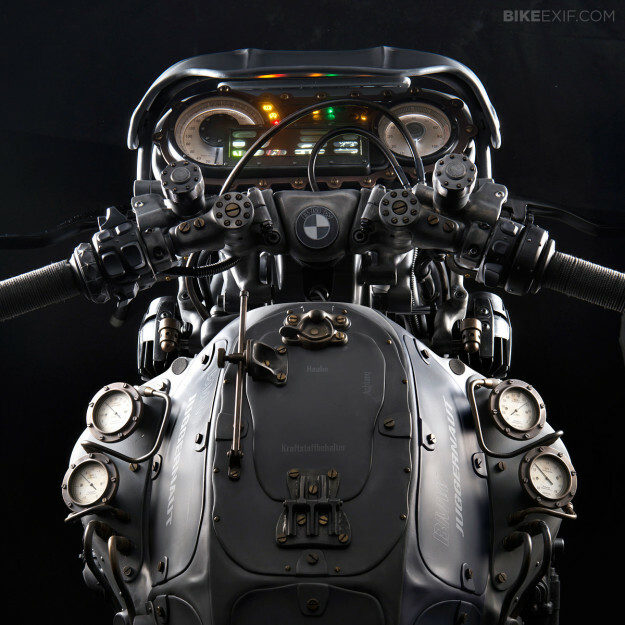 We imagine it’s the kind of machine that would star in the upcoming movie Mad Max: Fury Road. KEN’S FACTORY SPECIAL Kenji Nagai has opted for drastic surgery on his K1600 GTL, creating a low-slung dragbike stripped to the essentials. The entire rear end of the frame is gone, and the front has been stretched and raked. There’s a custom-made billet girder fork up front, plus a one-off 23-inch aluminum alloy wheel hooked up to a custom 11.5-inch rotor. 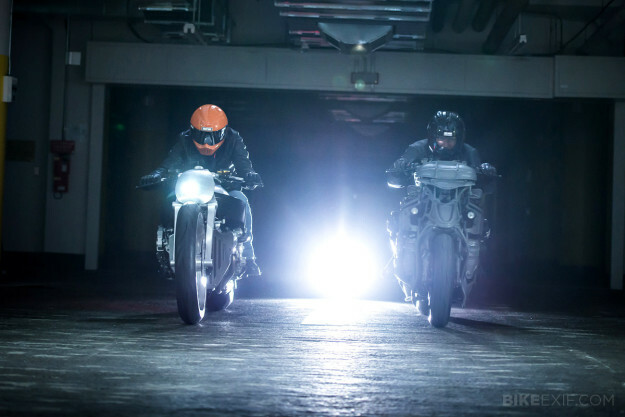 Out back is a solid disc 20-inch wheel, suspended with a stretched swingarm and spectacularly illuminated by a LED brake light. It’s shod with 220-section Avon Cobra rubber. The bodywork is the bare minimum: raw, curvaceous aluminum forms that throw the emphasis onto the massive frame spars and the equally hefty engine. Even the seat is aluminum—but this is not a bike for long distance touring. It’s one of the most inspired styling exercises we’ve seen for years.